Virginia Tech’s primary student recreation facility, McComas Hall, boasts a custom X3 500 Open Format Queenax unit. Primarily used for small group and personal training, the unit is open to the student body. The X3 500 Open Format is a free-standing system with the flexibility to accommodate group training circuit-style classes, while preserving floor space. The system accommodates functional and suspended body weight training accessories, and offers equipment storage solutions. Demand for versatile training options has increased over the past few years and Queenax holds a global leadership position. Highly versatile, space-efficient and modular, Queenax allows operators to make the most of their valuable floor space. Group Queenax classes engage and excite participants as they encourage each other to push physical boundaries and have fun. 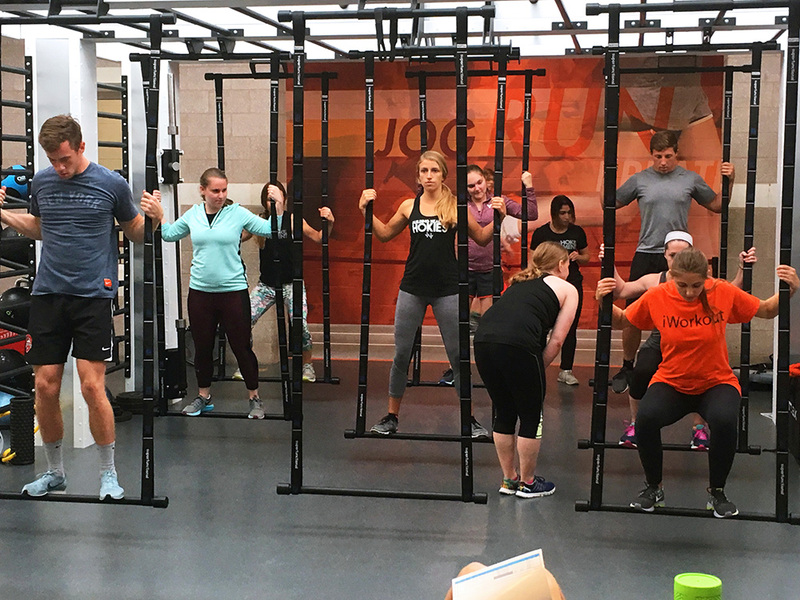 Virginia Tech recently hosted a Queenax Foundations Workshop led by Precor Master Trainer John Meeks. Attendees learned how to create logical, engaging. and safe movement progressions by integrating suspended bodyweight tools, bodyweight exercises, tubing, agility, and other resistance modalities. The training also covered group coaching dynamics and fundamentals to further hone staff confidence and familiarity with delivering high value coaching to multiple clients in a single session.